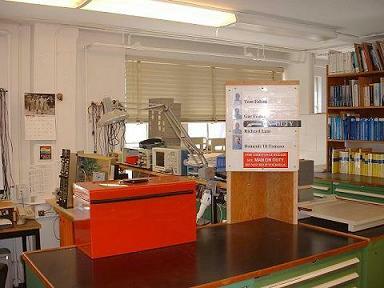 The Electronics Lab (aka 'Elab') assists researchers and graduate students with their projects. The Elab maintains an small inventory of various electronics parts, through hole components, SMD components, wires, and connectors. These parts are available to Physics & Astronomy students in *small* quantities and/or emergency use. It is strongly encouraged PHAS department research and teaching labs procur their own parts. The Elab "Contact Person" will assist students or faculty when visiting the Elab. The "Contact Person" is indicated on the sign on the door. All parts requests or assistance should be directed to the "Contact Person", before asking other technicians in the lab. Visitors should not help themselves to parts and catalogs on their own. Undergrads will need a speedchart as well as authorization (signature) from their supervising instructor to withdraw parts from the Elab. PCB Software - The Elab currently uses Altium Designer for schematic entry and PCB design. For access to the Altium License server please see the PHAS IT staff. The elab can provide minor support with Altium, questions, setup, and library questions. Upon request the elab Altium library can be made available to individuals. The elab Altium library has schematic symbols and decals of a large variety of commonly used parts, IC's, thru-hole parts, connectors, SMD components, as well as most elab stock items. 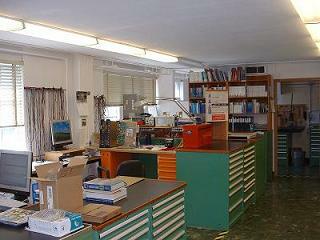 Ideally, arrive at the Elab with your requirements and documentation. (parts list, schematics, application requirements, power calculations worked out, etc). Calculations are the work for the student. Come to us in well in advance of your deadlines! We will do our best in emergency situations, however, our services cannot be guranteed. As a general guideline, teaching labs should submit their requests one year in advance of the course. Repair work requests - Please bring all documentation with the equipment to be worked on. While we do not refuse to repair equipment without schematics, we can only promise a best effort in such cases.